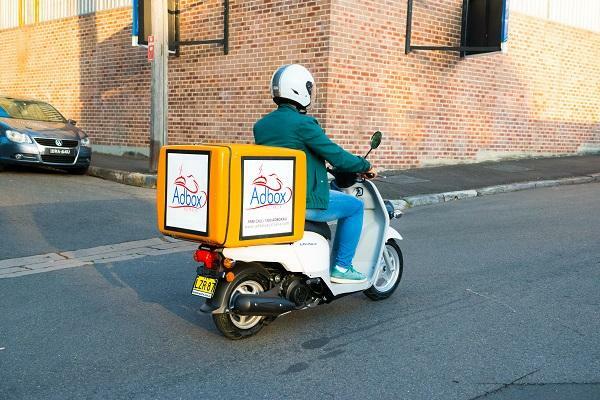 Adbox is an innovative light-up food delivery box that affixes to any delivery scooter. The latest in advertising equipment, Adbox can reach, entice and engage your audience whether it’s day or night, whilst allowing your delivery fleet transport foods and drinks in fully equipped environment with everything needed to keep food at the optimal temperatures on its way to the customer. To find out more, contact Adbox Australia at 7/17 Chester Street Annandale Sydney NSW 2038, (+612) 8958 1326 - 1300 232 692, or at info@adboxaustralia.com. Alternatively, you can visit their website at http://www.adboxaustralia.com.au/contact-adbox.